In 2018, we released our Guide to Effective Email Marketing – one of our best-performing content pieces of the year. One of the valuable assets we created with it was our checklist. 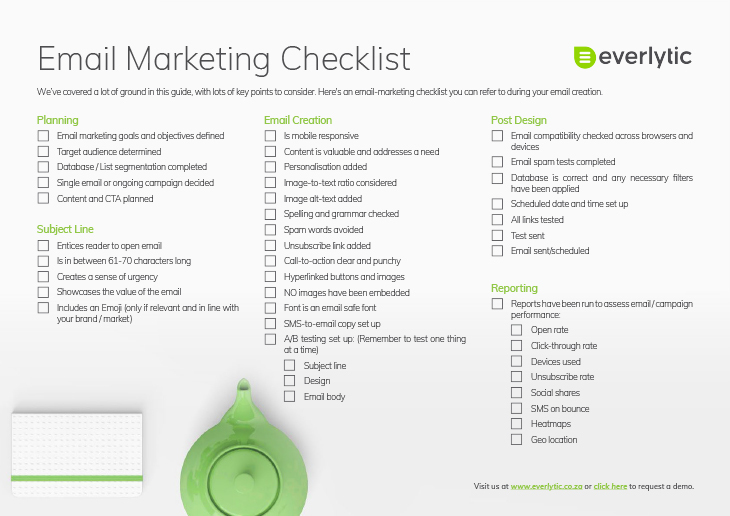 If you’ve read the guide, or know a bit about email marketing already, here’s a printable version for you to use in your planning.